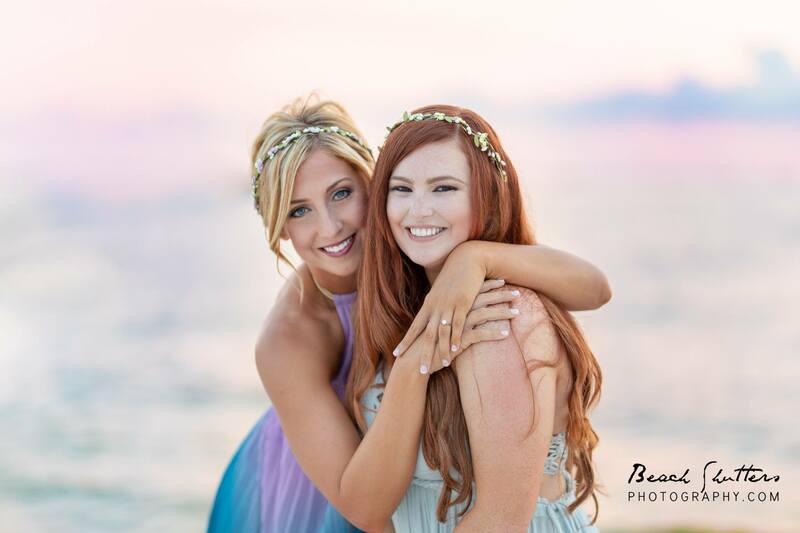 Let’s talk about taking photos at Alabama Point East! Molly & Sarah are good friends. Such good friends that they planned a vacation together.. along with their boyfriends of course. 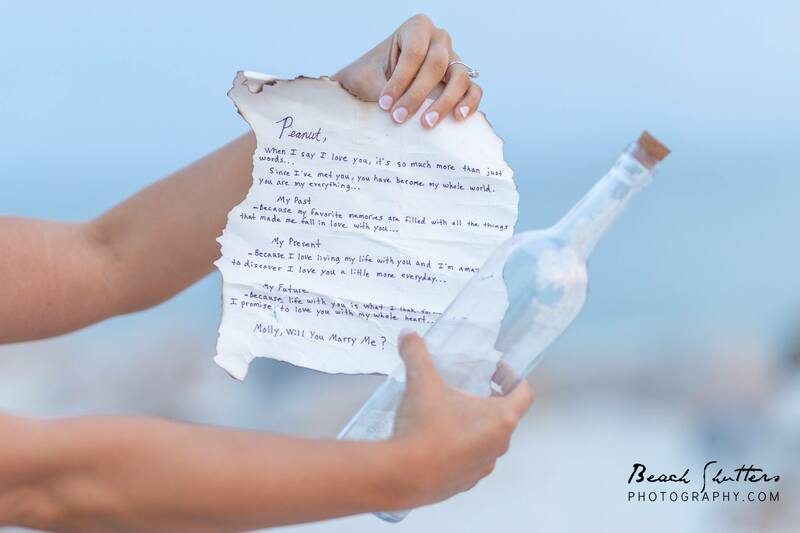 Molly had no clue that her boyfriend had a ring in his pocket, and a message in a bottle! 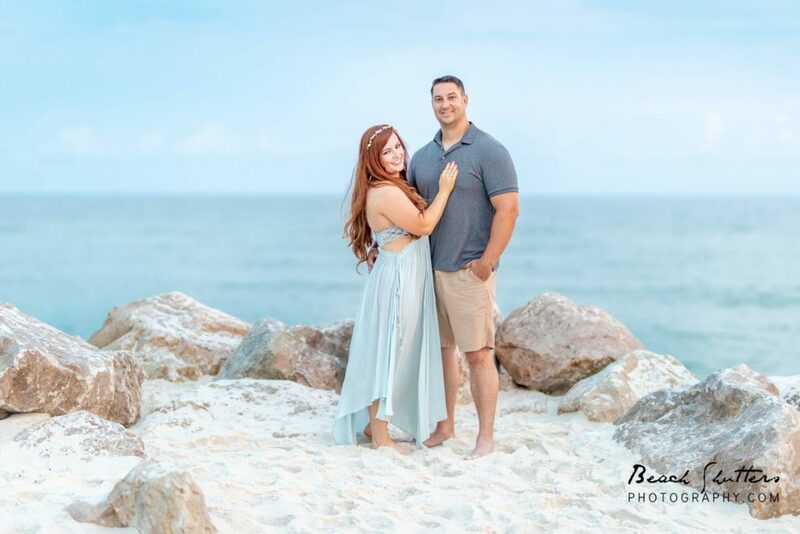 Please scroll through these photos to see the most romantic proposal photos at Alabama Point East! Sarah made sure to keep this big secret. 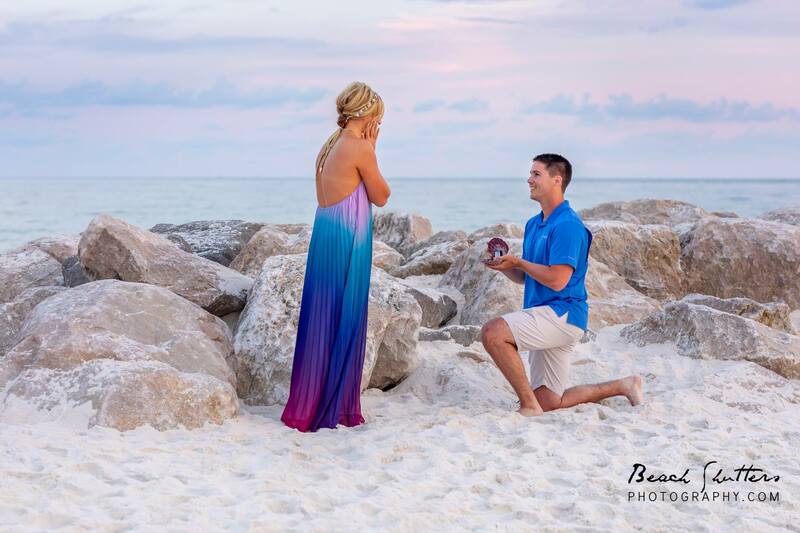 She also arranged to have photos of this most picturesque proposal! I was lucky enough to be the one taking these photos.. and I have to say, this one made me tear up! This is one of our most popular photo locations. What makes it so popular? The rocks! Most evenings you can find families, fishermen, and photographers, of course. 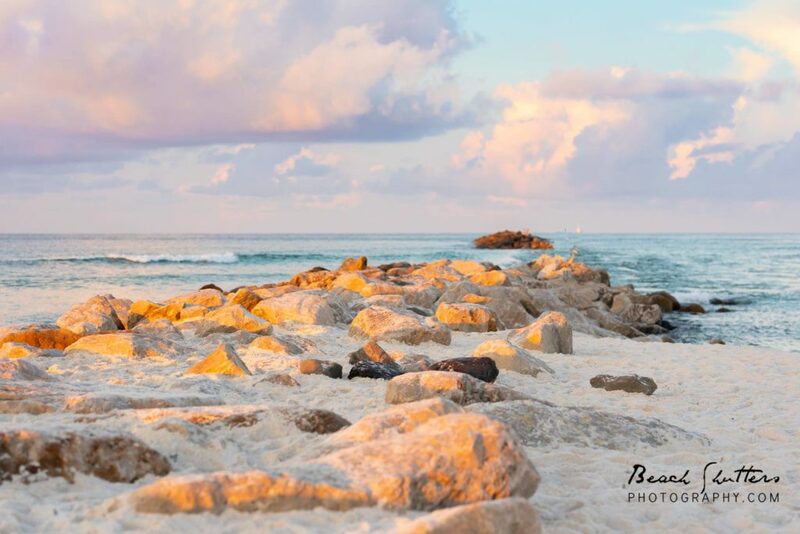 There is something about the jetties that draws folks in. Not only the large granite rocks, but there is much more to this location. What will you find at the end of the walk? When folks choose to have their photos taken at Alabama Point East, I start by mentioning the long walk. This particular location does involve a 1/4 mile walk down a wooden walkway. The good news is what you will find at the end. There are dunes, sea oats, a sand trail, the boardwalk, and the rocks! No wonder APE is so popular, right! With this many backgrounds in one location, it makes a great choice! The only time I ask people to carefully consider having photos at Alabama Point East are those traveling with babies and elderly. The walk can be a bit much for our older family members. This also goes for strollers, and carrying our toddlers! Thanks again for taking the time to read my post about APE. Other keywords that may have led you to Beach Shutters Photography’s website are Photos at Alabama Point East, Photographer Orange Beach, Photographer Gulf Shores, Photographer Perdido Key, engagement photos, wedding photographer, family photographer, and real estate, photographer.